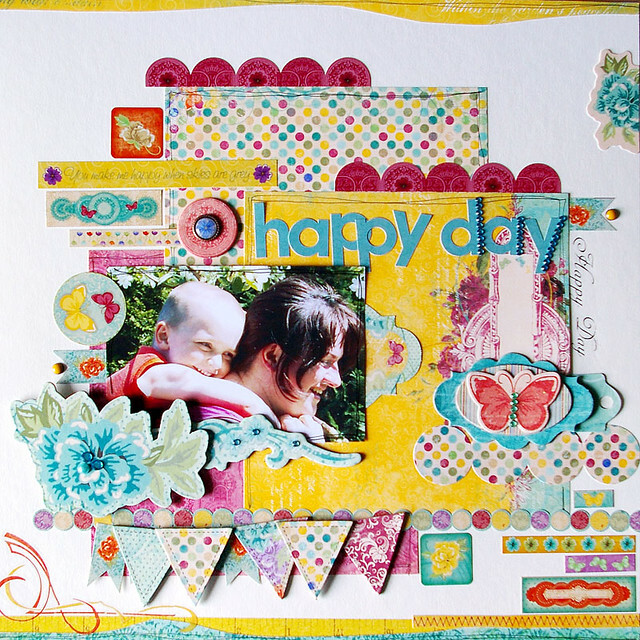 It's time for another Layout Challenge here at Bo Bunny! This time, we are having an inspiration challenge! All you have to do is use this image to inspire your layout. Do the colors inspire you? How about something that makes you pick your design? There are so many possibilities in this picture. The design team has again played along to get you started. First up, we have Juliana. 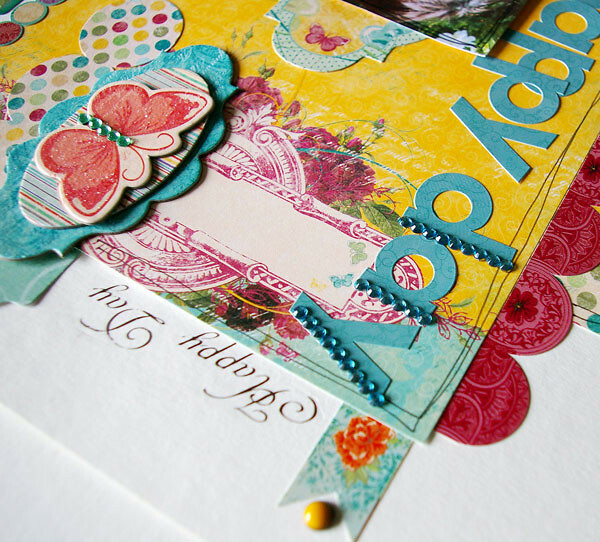 Juliana mixed the new Ambrosia Collection with some of the Enchanted Collection. 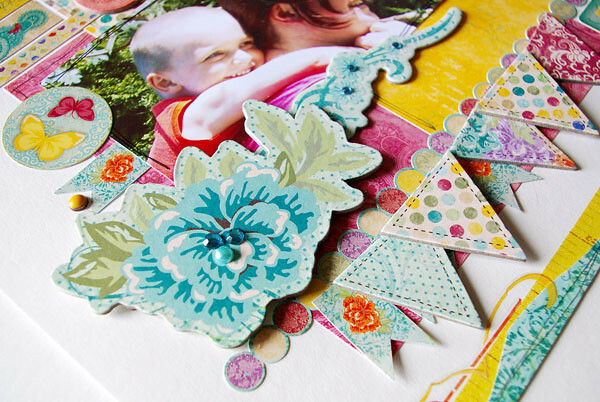 Adding lots of details such as stamps, fussy cutting and stitching really makes this page shine! Designer Tip: Stamp the image multiple times on the background paper, but don't re-ink the stamp. Stamp the image 3-4 times. The ink will gradually fade and add a nice design element to the paper. Agnieszka also used the New Ambrosia Collection. There are so many wonderful details to see on this page and be sure to check out the terrific way that she embellished her title! And we have this from Jolanda! Jolanda played with the new On the Go Collection. Be sure to take a peek at how she cut the paper to overlap and tuck-in the photo. Be sure to link up your layout to this post by March 7th and we'll choose a winner! Please e-mail your mailing information to us so we can get a prize out to you! and you still have time to join in the fun! Remember to share your pages and projects with us on Facebook! We love to see what you are up to! Love your layout Sarah, congrats! I love the challenges...I'm just waiting to get the new lines. I keep calling my lss...they keep saying "Yes Lynn, we will put them all on hold for you" lol...I'm trying to be patient. Love the designers take on the challenge. Thanks so much, so excited!!! gorgeous and congrats to Sarah! Congrats to Sarah!! And loving the inspo for this challenge and what the DT created!! GORGEOUS!! Congrats Sara, I was so excited when I won the last time! I'm waiting for my gooddies to come in!! Hope you have fun with yours have a fantastic weekend!